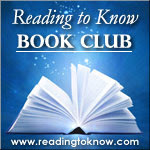 I read Professionalizing Motherhood Encouraging, Educating, and Equipping Mothers At Home in conjunction with the Reading to Know book club. This is September's pick and Stephanie from Stephanie's Mommy Brain will be hosting the concluding discussion next Friday, September 28th. I purchased this book (used) on Amazon specifically for this month's read and while I don't regret it, I also don't feel like I got very much out of it. Jill Savage is the founder and director of Hearts at Home ministry. Their goal is to encourage stay-at-home moms to stay the course without losing their minds. (Heh.) They really seem to desire to bless and stregnthen the hearts of mothers who have made the choice to stay at home in order to raise their children. The new "Expanded" edition of this book came out in 2002, so it has been around a bit. Motherhood is not a profession which allows you to meet a certain achievement goal and find everyone around you perfectly pleased and satisfied. More often than not, when you achieve a goal worth achieving (potty training! amen?) you aren't awarded a certificate or given a raise. You are just enormously grateful that you don't have to remove the back seat of your car just to fit the stack of diaper boxes that you spent a ton of money on at Costco anymore. When you make a meal for your family, sometimes people cry over it. And when you clean things up, they get dirty again. I just have a problem with trying to puff ourselves up falsely. I also don't feel the need to validate everything I say and do in a society that rejects almost every single value I possess. Being a stay-at-home mom isn't easy but I do believe it is important and there is great value in it. I don't care if anyone else sees it that way. I can't think about presenting myself well in public all of the time. What is more important to me is that my home life is good. Is my husband happy, satisfied, supported and respected? Are my children growing, thriving and feeling my love and joy over their very exuberant and joyful existence? Then that is all that matters. What others think or may say or do is of less consequence to me. I do not need a title. I don't need to feel like I'm setting goals just like I did when I worked in an office. What I need to do is live and do everything I do for the glory of God, the One who made me to do exactly what I'm doing. All that to say, I get the point of the book and her arguments. Really, I do. But I couldn't take it altogether seriously because in some ways I don't take myself that seriously. I'm not on a career path. I'm on a life path. It's sacrificial, but I'm not going to regret a moment. I know that already. I can see how the mindset in the book would help some people in different ways. I had to skip this one...and likely next month's, too, but will aim for Nov (obviously) and December for the book club! I don't care for the "professionalizing" thing either--it makes me think of all the hyper-competitive aspect of motherhood, whether it's getting children to X benchmark sooner or having pinterest-worthy meals or birthday parties or whatever. I realize this is probably not what she is proclaiming, but I think the whole problem is caused by women applying a professional mindset to raising children. I don't really see why motherhood has to be treated in such a completely different category than fatherhood. Why is motherhood a profession but fatherhood a hobby? Yes, practically it often makes more sense for a mother with young children to be with them at home, but it is in fact a luxury of our society that she can devote herself full-time to such a pursuit--in nearly every previous time and place, unless she was quite wealthy (in which case servants would have done the majority of child care, too), she would have spent most of her time in activities that contributed to the family economically. I was reading "Lark Rise to Candleford" a few weeks ago and the mothers (wives of farm day laborers) shooed their preschoolers (down to two) out the door early in the morning, expecting them to fend for themselves all day, so that the mothers could get on with the business of survival. Wherever possible, of course, children were included in the work, and that was a great thing that our society is sorely missing. Devoting years to raising children not a luxury we need to be ashamed of choosing any more than we should be ashamed of driving instead of walking everywhere. But it is a luxury. What a great paragraph you wrote about the difference between motherhood and a job -- in a job you don't die to self. Great thoughts! Carrots always states things so well! I also think that rather than admitting that full-time motherhood is a luxury, we tend to make it our idol. This then leads to thinking that we are morally superior to those who are unable to afford such a luxury.